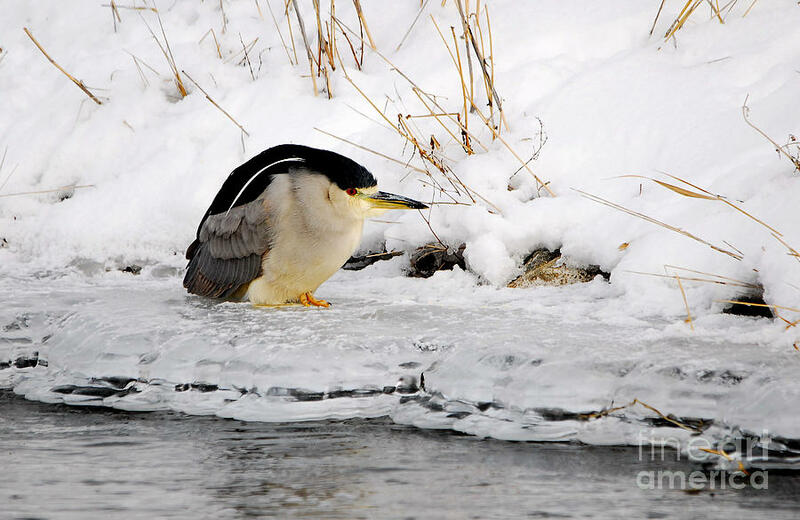 Winter Night Heron is a photograph by Marty Fancy which was uploaded on January 20th, 2013. Black-Crowned Night Heron taken at Farmington Bay Waterfowl Management Area, Great Salt Lake, Utah. 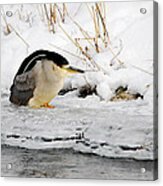 Congratulations Marty, your work is Featured in "Coastal Water Birds-Shore Birds" I invite you to place it in the group's "2019 Featured Image Archive" Discussion!! Wow! 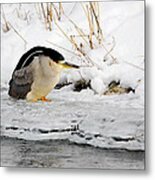 Never seen a Black-crowned Night Heron in the snow! Amazing capture, Marty! L/! Congratulations Marty, your work is Featured in "Clear BIRD Photography"! Congratulations Marty, your work is Featured in "A Birding Group - Wings"! 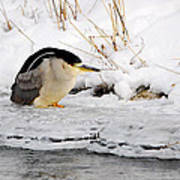 What an odd posture - he looks like he is hunkered down and trying to keep warm. I love him! a wonderful shot! v.
Great shot full of colour, makes you shiver just looking. Nice Capture. You can almost feel the cold.